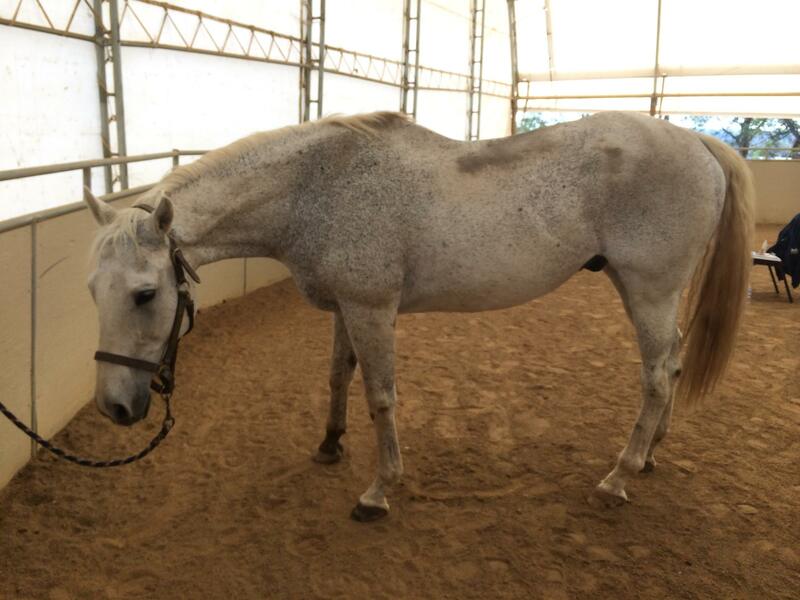 “This is retired endurance horse, MS Remington, a 34 year-old gelding (above) after I worked on him at the Level 1 course with April Battles-HolisticHorseworks. April has worked on him before so he knows the work. On this day, a friend and I discovered that he was carrying a trapped emotion of grief and so we released it. I worked on him for two days in a row and I think other than some stiffness in his knees he is in pretty good shape. I would like to think with April Battles’ guidance, I made him feel much better. You should have seen him trot around the pasture after his session…he was quite a joy to see! 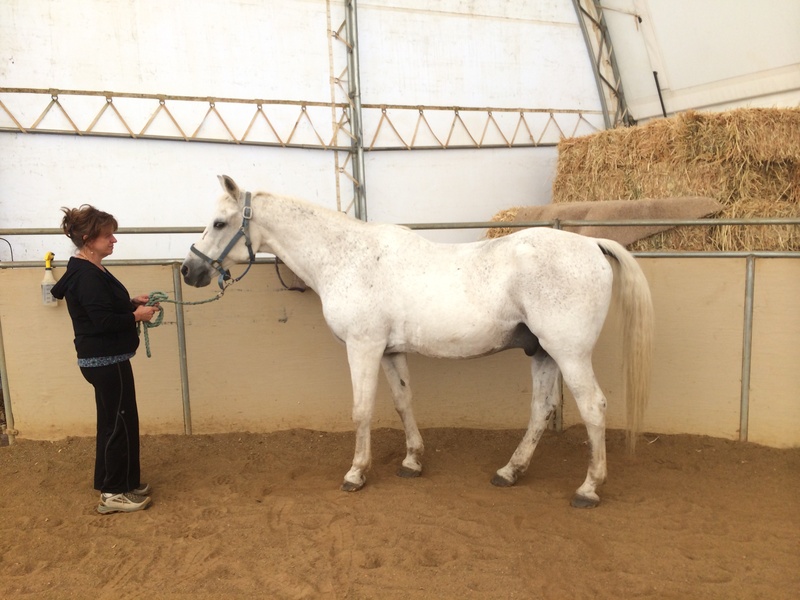 “I was fortunate enough to participate in April Battles-HolisticHorseworks LEVEL 1, “Equine Musculoskeletal Unwinding” three-day workshop that took place over a recent September weekend. 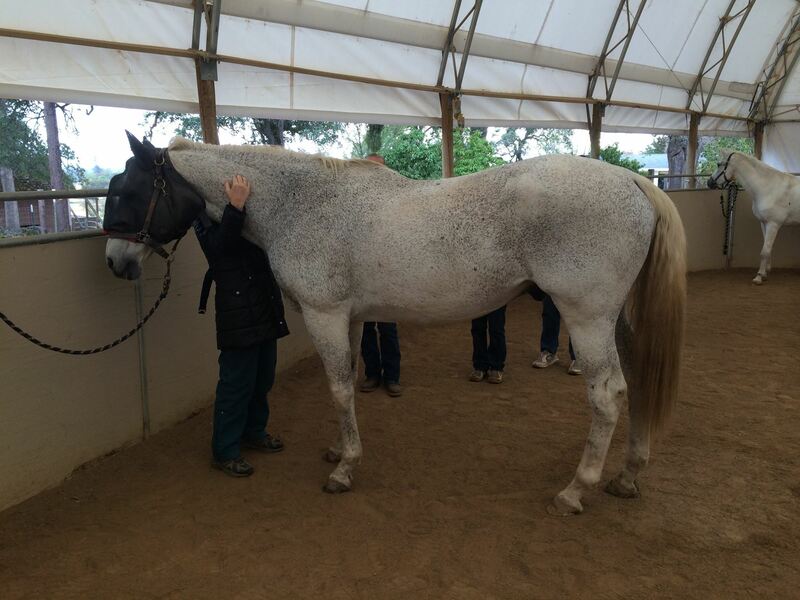 It was a fascinating adventure in learning how to transform a horse in a short period of time. 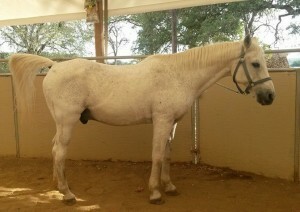 Riley, (above) is a nearly 17 hands high senior Thoroughbred. Among other issues, his back was in spasms and I learned how to relax all the muscles in the loin area just with my fingers to give him some much needed relief. He felt so much better after I worked on him as did the 15 other horses that our small but enthusiastic group of people helped. One of my favorite horses that I worked on was a 30 year-old chestnut mare that thought she was a worthless bag of bones when she came into the round pen. I did some trapped emotion releasing for her and practiced the Equine Musculoskeletal Unwinding techniques. 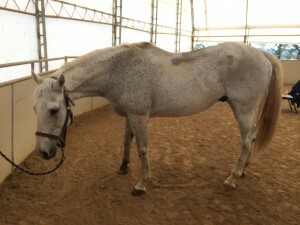 Before long she looked like a million dollars, proud and fluffed up with a new lease on life. It was so very rewarding and heartfelt to see her newly found pride. I’m sorry I didn’t get photos of her, the improvement was vast. 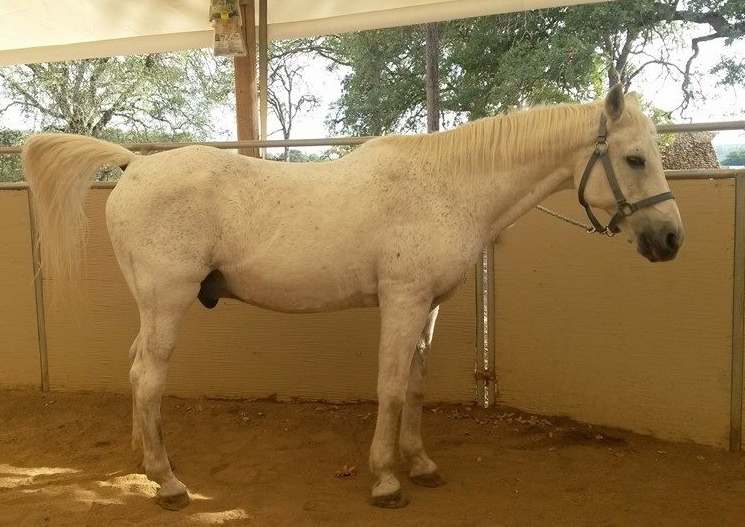 “I have never met April in person but we met through our businesses of treeless saddles. We have now become great ‘long distance’ friends and April has been wonderful in helping me and my mare to be healthier. April has talked to my mare Mariah in her distance readings several times and she has always been correct in all her findings regarding what is bothering her (what an asset this is to have April’s talent to do this! ).